Fijians may soon be going to study agricultural production at one of China’s most prestigious universities. Meeting with the senior officials of the Fujian Agriculture and Forestry University during his trip to China this week, Prime Minister Josaia Voreqe Bainimarama proposed a program in which Fijian students would come to China to study at the university and learn advanced agricultural production methods. The University Council Chairperson Ye Huiling welcomed the Prime Minister’s proposals and called for closer engagement so that both parties can learn from each other. 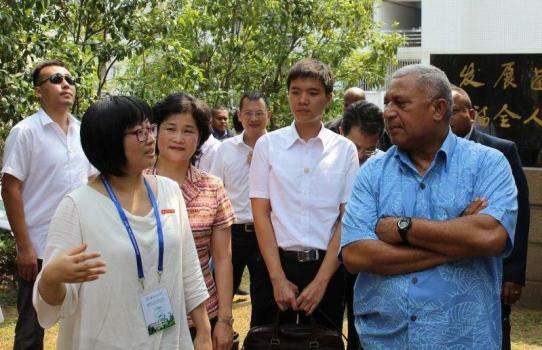 Bainimarama is confident that the strong and growing Fiji-China relations will result in more people-to-people exchanges between the Fujian Province and Fiji. The University, which plays a key role in developing new agricultural methods in China, currently engages with the Fijian government through the Agriculture Ministry by providing research and capacity building assistance.